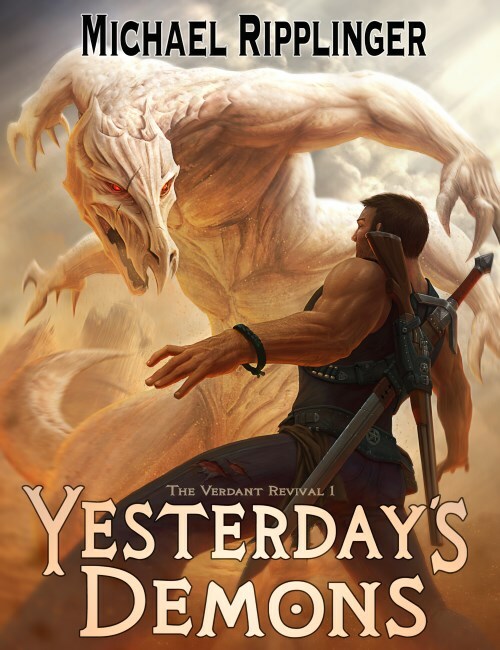 Yesterday’s Demons is the first book in a fantasy/SF trilogy called The Verdant Revival. It’s the story of Siv McCaig, who has spent his young life in fear after a boyhood encounter with a monster. When that monster inexplicably returns, Siv needs answers. Where did it come from? What is it? And will it ever come back again? His search for answers becomes a journey across the world and a battle for planet Verde’s survival. If you like anime-inspired role-playing games like Final Fantasy, Phantasy Star, Skies of Arcadia, or Wild Arms, I think you’ll love Yesterday’s Demons. It’s my love letter to those kinds of games and their immersive, unforgettable stories. It’s appropriate for both adult and teenage audiences. Finally, now is a great time to pick it up Yesterday’s Demons because its sequel, Tomorrow’s Shepherd, will be out later this year so you won’t have long to wait for the follow-up.